This article is based on multi-tasking environment in ios sdk. There is a simple solution put in place. This solution is known as push notifications. This solution is great and all, but it still requires to have an active internet connection. Furthermore, it is little bit difficult procedure. With iOS4, Apple has introduced a new type of notification that can be scheduled to fire within the device itself. That ‘s Local Notifications. 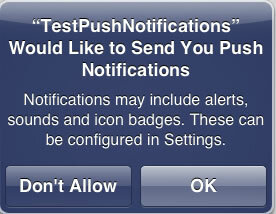 Local notifications can be scheduled on the user’s iDevice to fire at any given time. Modify the appDelegate.m so that following changes will reflect. 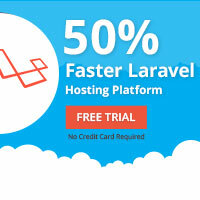 We need MessageUI framework to send email. Sending Email can not be tested using iPhone simulator. The reason is simulator does not include a mail app. The application should be installed in actual device and tested. In simulator, it displays a successful message that email has been sent but it just an indicator that no other problem with source code. 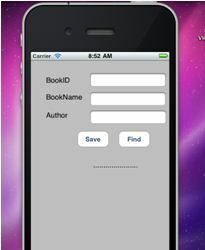 This is an ios application which demonstrates accessing data tier for common data manipulation tasks. So we are going to build a simple book list application. This is the application interface. First add sqlite3 framework to your project. //  Created by Snow Leopard User on 19/04/2012. //  Copyright 2012 __MyCompanyName__. All rights reserved. //  Created by Snow Leopard User on 19/04/2012.